What’s the Project? These are some of the easiest Halloween treats around but they are cute and the kids will love them! 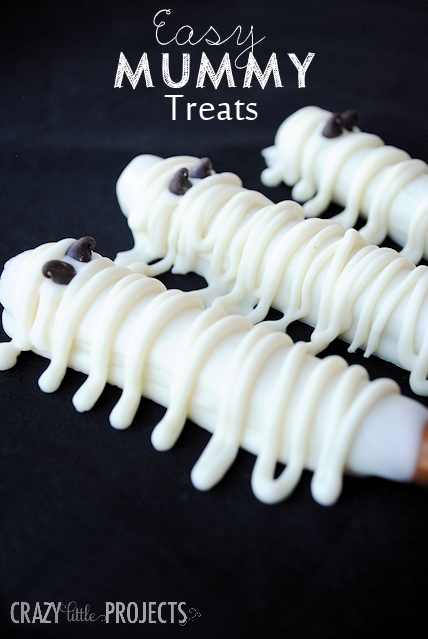 White chocolate covered pretzels made to look like mummies! Great idea for a Halloween party! I love a quick and easy idea that makes my kids think I am super cool and these Halloween treats are just that! So easy to make but the kids think they are amazing. And I like them too because hello! They taste good! 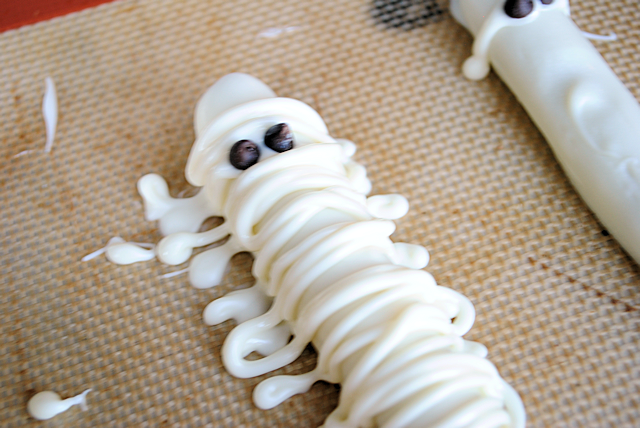 These are super easy to make-white chocolate covered mummy pretzels. 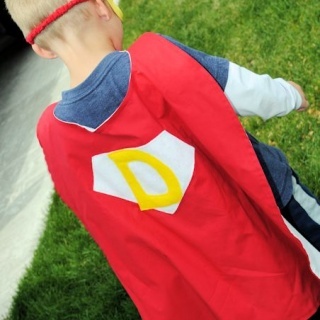 A perfect treat to take to a Halloween party or just to make with your kids or grandkids! 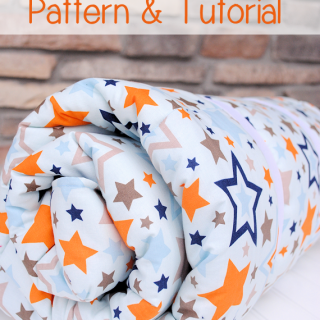 I made these with my boys also and we had a blast doing them. They are something that the kids can easily take part in. My boys loved it. I think I am in love with these little guys! You know what would be really good if you’re feeling ambitious?! 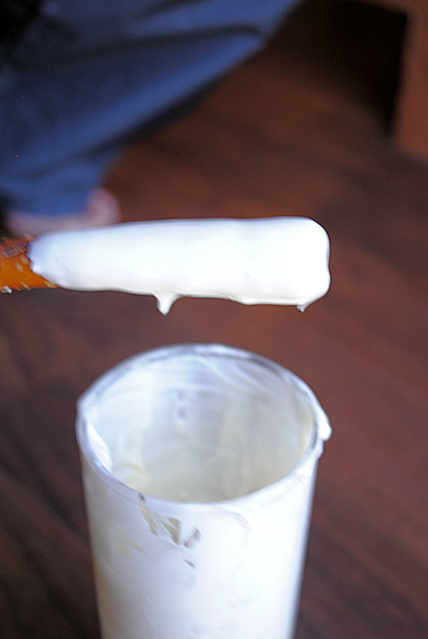 Dip them in caramel first, THEN the white chocolate. Yum! 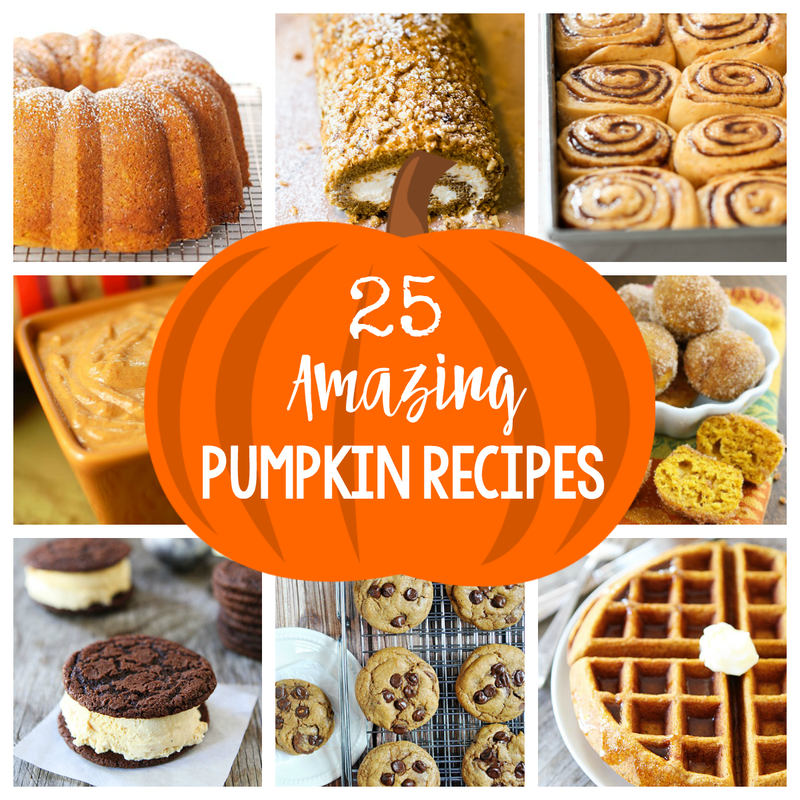 Also, if you love easy Halloween treats, check these ones out too! 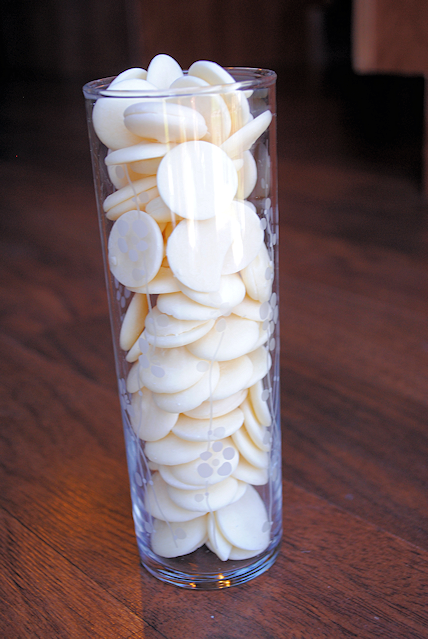 Pour your white melting chocolate into a tall glass of some sort. Melt the chocolate in the microwave. It will take 1-2 minutes. Stir about every 30 seconds. 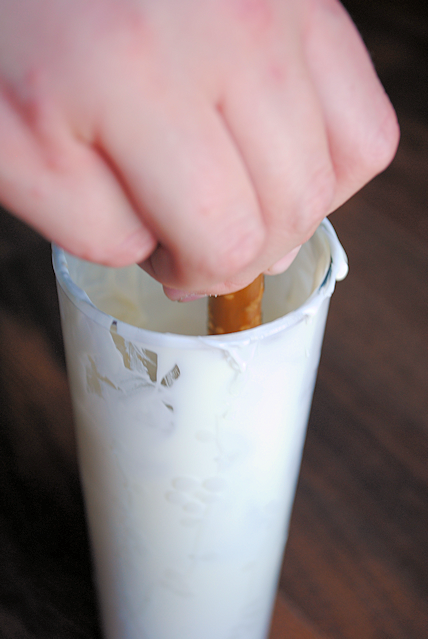 Once the chocolate is melted, dip the pretzel rods down into it. Lay them on wax paper or a silpat mat if you have one. You may need to rewarm your chocolate now. Then pour it into a Ziploc bag and snip one corner off. 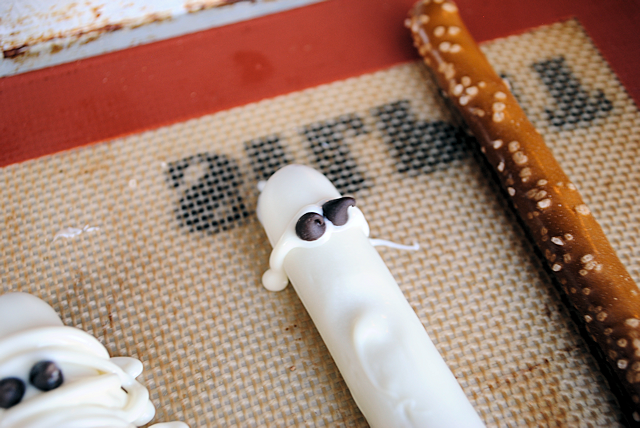 Pipe the white chocolate on and stick your chocolate chips on as eyes. Then pipe it on to look like a mummy. Let that set up and you’re done. 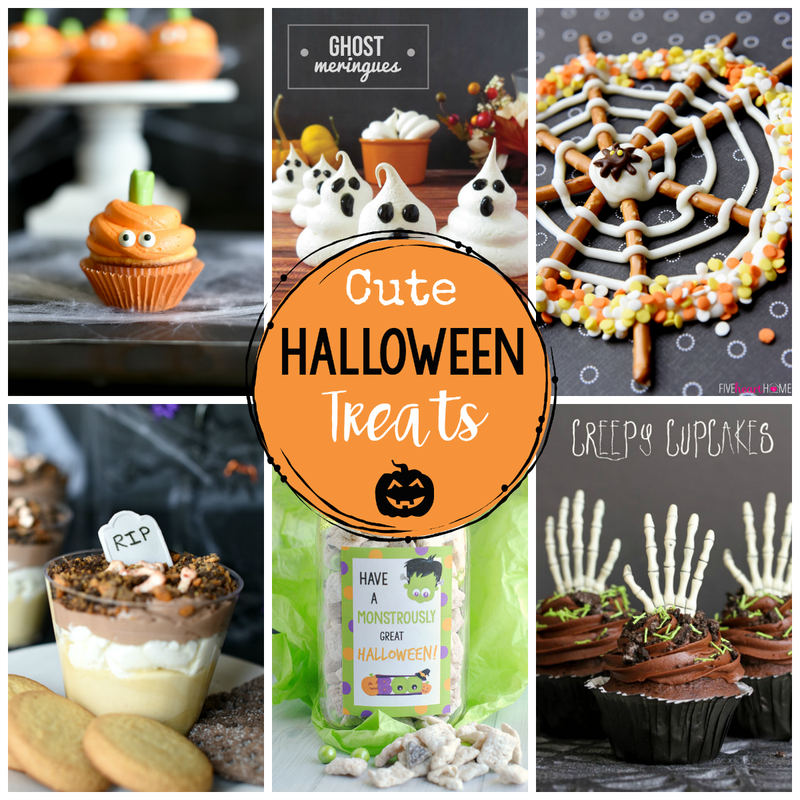 Have a great time making these cute Halloween treats!!! And Happy Halloween! cant wait to try these, look yummy and easy! Thanks, i love your blog! this is so cute! 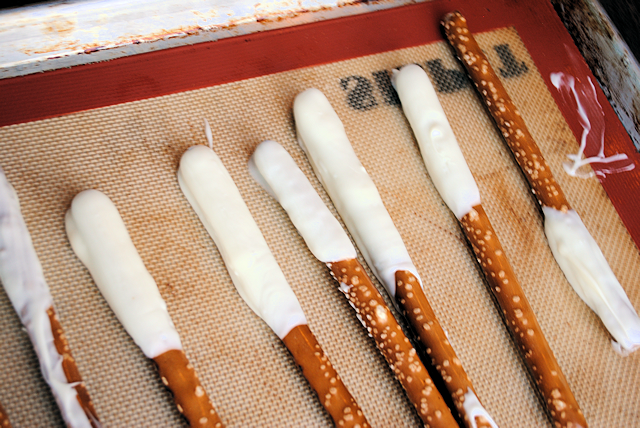 I love covered pretzels with chocolate may have to make some of these to send to my son in college! These mummy treat are adorable! I will be making these for my kids pumpkin decorating party next weekend.